There is a space within you where you are already perfect, whole, and complete. It is pure consciousness - the space inside of which all thoughts come and go. When you rest in the feeling of this space, the warmth of it heals your mind and body. When you operate from the infinite creative potential of this space, you produce high levels of performance and creative flow. When you sit in the openness of this space with others, you experience a level of connection and intimacy that is breathtakingly enjoyable and filled with love. 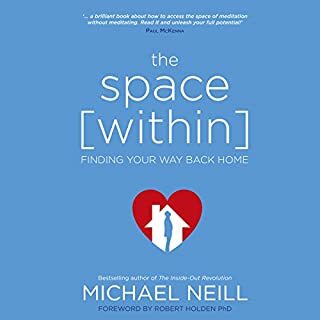 Michael Neill Always delivers deep insights! 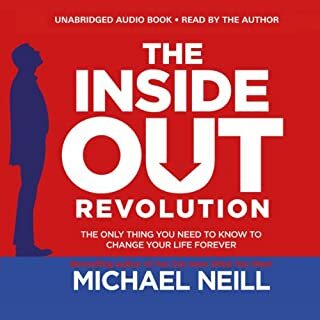 This audiobook is about how we all have a state of perfect mental health and wisdom inside us that can only be covered up by our own thinking and how our use of our power of thought creates the "reality" we see, out of which we then think, feel, and act. 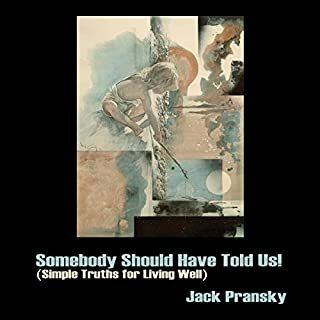 Here are 10 simple but profound truths for living well, arising from three spiritual facts that once grasped or truly realized can transform one's life. 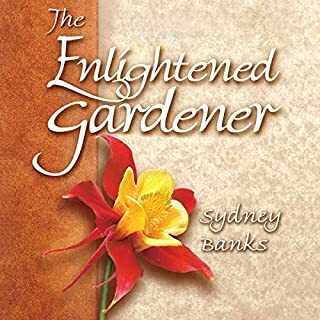 In this simple but profound tale, four colleagues meet a remarkable gardener whose unique philosophy will forever change their lives. That philosophy is equally powerful for the listener. The wisdom within this book comes in the form of a straightforward message that is accessible to all who will open their hearts to it. One of America's most well-respected coaches shares his most effective tools for creating powerful, positive, and lasting changes in life. 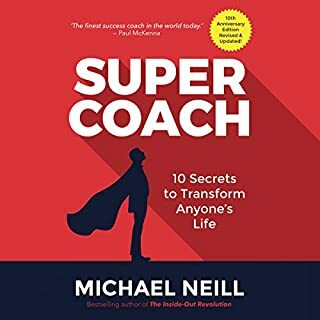 Join best-selling author and internationally renowned transformative coach Michael Neill as he guides you through 10 coaching sessions designed to change your life for the better. Definitely something I will keep in my library and read over and over again. All our lives, we were brought up to believe that other people and situations were what caused our anxiety. As it turns out, we were sold a pack of lies! What if the only thing causing your anxiety is your own thoughts? And what if underneath your anxious thinking was your true, perfect self - whole and healthy and untouched by all your fears? How would this change your life? For Jill Whalen, understanding this information switched off a lifetime of anxiety and addictive behaviors. What do you really want? The good news is that whatever it is, you can have it! The only thing is, attaining it is going to be a lot easier than you think and more fun than you can imagine! This is because the universe operates on the principle of Effortless Success: When you get really clear and honest about what you want, everything in the world conspires to help you get it. Learn to clear your mind and think like a winner. We all have so much going on. A million different projects, to-do lists longer than your arm. We all worry about things - money, deadlines. With all this buzzing around in our heads it’s often a nightmare trying to concentrate on one thing. What if someone could show you how to empty your mind of all the noise? If you could be shown how to de-clutter your mind and concentrate on one important thing? Well Jamie Smart, state-of-mind specialist, can do just that - with Clarity he will show you how to get real clarity of thought. Life can be a bit overwhelming sometimes, right? It can be difficult to clear your mind of a million different anxieties and focus in on the one thing you need to get done. The best-selling author of Clarity and The Little Book of Clarity goes one step further with Results by using his Clarity Coaching Model to help you de-clog your mind so you can make better decisions, prioritize, and focus on achieving those important goals. The Little Book of Clarity shows you how to clear your head and get things done. Based on the best-selling book Clarity, this new edition has been distilled to the essentials, getting right to the point. 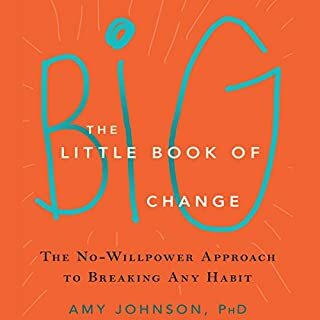 With no vague theory or superfluous anecdotes, this book gets you right to work on reducing stress and boosting productivity by uncovering your mind's in-built 'self-clearing' capacity. As you begin to understand the concept of innate thinking, the benefits will start emerging in every corner of your life. It felt hopeless to me. But it turned out there was freedom available to me that I never knew about. And I never would have believed it unless it had come from someone who had been there. Someone willing to share the dark side with me. I'm not proud of any of this. This is not a tribute to me. It's an attempt to reach someone who is still suffering like I was. Someone who is also not proud right now. This book will change how you think about what drives you to succeed. Groundbreaking new research reveals how your state of mind holds the key to your motivation, success and happiness. Compelling evidence combined with inspiring stories and insights will unlock a powerful new mind-set that will instantly boost your performance and open your eyes to what it really takes to excel. In Right Now, Steve Chandler shows us how to embrace the truth, the beauty, and the infinite possibilities that are always within us. Through humor, insight, and a wealth of personal stories, he leads us to the source of all creation and joy: the present moment. Explore the truth about the nature of being human and the resilience that's innate in all of us in this guide that will give you a new perspective, and a new paradigm, in the understanding of the mind that shows us that being resilient is the nature of human beings. Is it possible to rid yourself of chronic stress, anxiety and depression? Is it possible to experience true peace of mind? Is it possible to discover a new way of living life, beyond what you imagined? 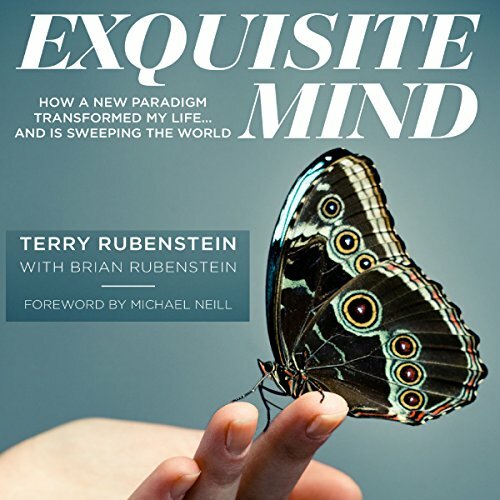 In this inspirational true story, Terry Rubenstein explains why this is absolutely possible. The answers lie within the three principles of innate health, a ground-breaking new paradigm that replaces the countless misconceptions that cause many of us to lose our way. At the age of 29, Terry was an overwhelmed mother of five young sons suffering from acute depression and anxiety. A few years later, having arrived at a simple but revolutionary understanding that explained all her past suffering, her life changed dramatically. She discovered the secret that lets you escape from being a helpless victim; that allows you to be resilient and secure in the face of life's inevitable ups and downs. Terry's moving account reveals the gift of a mind overflowing with infinite potential and the unexpected discovery of the innate health that resides within us all. Thought is the divide that creates the chasm, but it is also the bridge that builds the connection. Loved this book. The narrator was excellent. I have listened to it several times. Terry has a gift of describing the Three Principals in a way that you "get it" . A must read. once I started listening I couldn't stop. the story was so enjoyable and the warmth , honesty and humour drew me in. Thank you Terry for this incredible boon. Expresses depth and simplicity, keymarks of the 3 Principles. Audible makes replay of important chapters so easy. This is a valuable resource for anyone wanting to educate themselves about the teachings and application of the 3 principles.